This is a LARGE 25x44mm. 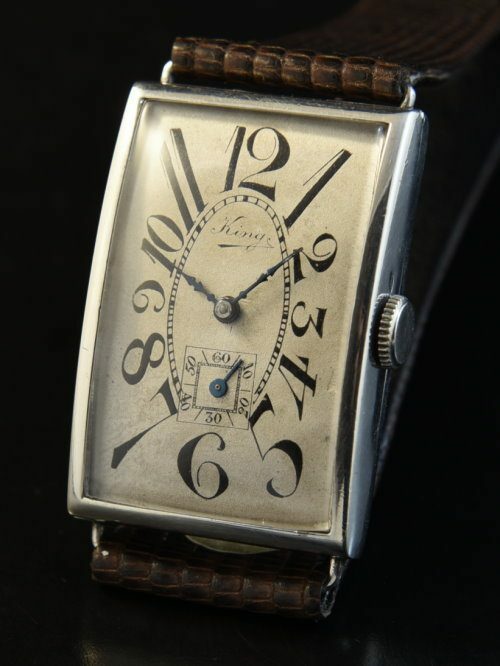 STERLING SILVER original dialed KING’s vintage 1920’s Art Deco watch. I love the Art Deco original dial with exploding numerals. The blued steel “fancy” hands are also original. The manual winding movement is accurate after a recent cleaning. The large Sterling Silver case looks fabulous and SPRAWLS across the wrist. 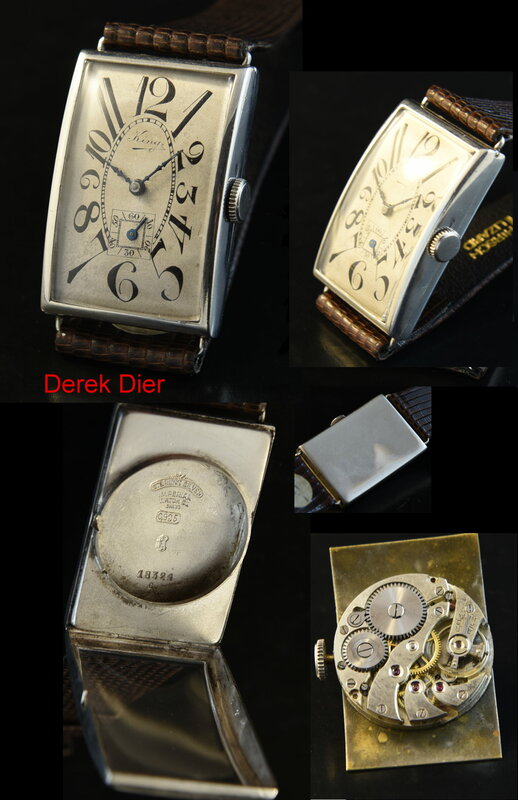 Similar large vintage watches are becoming very difficult to find. Only $1250.